Welcome to focused motion. Thanks for stopping by! We are in the business of video production. Take a look around and see what we can do. Our specialty is the Polecam – a unique way to get interesting shots and increase production value on video projects. 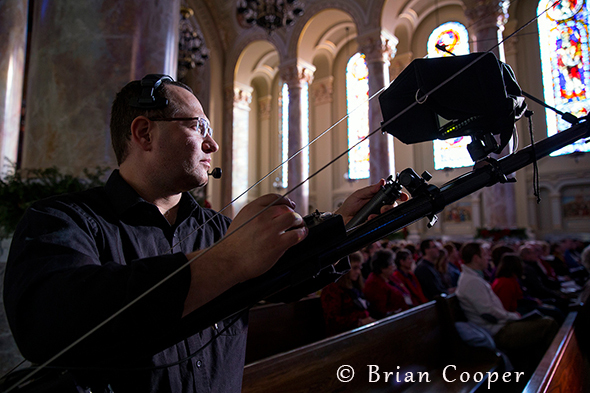 Please click on the Polecam page for more information on this incredibly versatile rig. FM shoots high definition video, has different lighting and audio packages and also offers editing services. We own several different HD cameras and maintain them so they are ready to go at a moments notice. Lights + camera + audio + grip = ACTION! Check out our videos pages to see what we can do for you.